… it was. You know when you read a recipe and it looks tasty enough, but nothing special; good for a weeknight. Well this looked like that, and then had such great balance of flavours it had to make the blog. It did take longer than we expected, but the pizza-like aromas from the oven had us salivating and it was worth the wait. 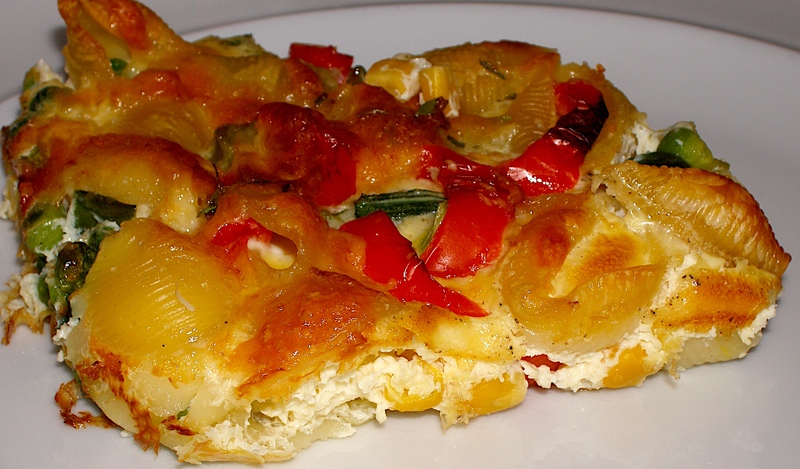 More like a veggie pasta bake than a frittata we reckon. Cook the pasta in salted boiling water for 8 minutes. Add all the veg and cook for a further 2 minutes. Drain and tip into baking dish. Beat together eggs, add thyme and milk and beat a little more. Mix in most of the two cheeses and some black pepper and a sprinkle of salt. 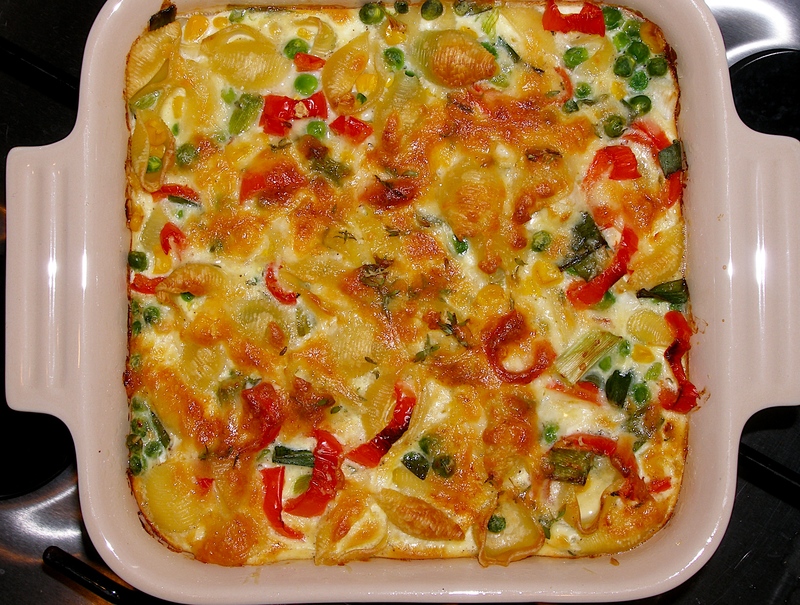 Pour into the baking dish, stir, then scatter remaining cheeses on top. Bake for 35 to 40 minutes until golden and set. Cool for a minute or two and serve with the salad leaves. Surprisingly tasty and low fat too! What more could you ask for? It looks great. All the colours make it look full of the flavours of summer! Yeah it was a complete surprise. We only tried it as we had most of the ingredients already.